Given the shortened timeline Indy Eleven had to assemble a cohesive on-field unit after its January entry to the league last year, the fact that Head Coach Martin Rennie’s side reached the USL Cup Playoffs at all last fall was a highly commendable achievement. With a full offseason to work with this year, though, Indy has been one of the clear winners as the side prepares for the 2019 Championship season. 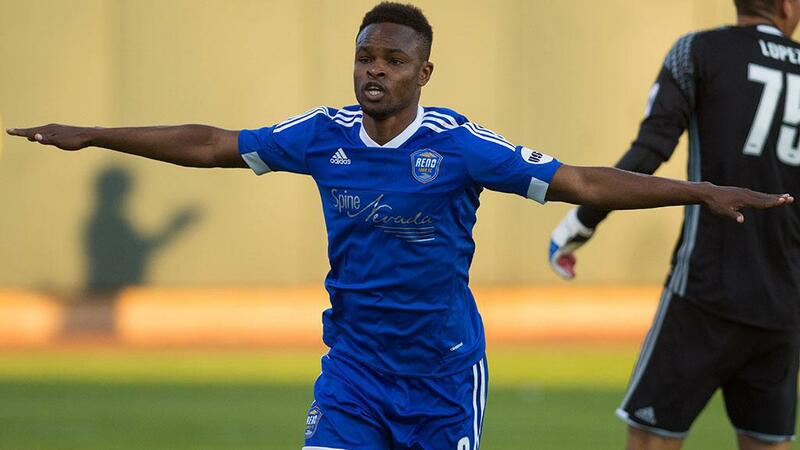 Wednesday’s signing of the league’s all-time leading scorer Dane Kelly was the crowning moment in what has been the construction of a USL Cup contender. With 67 goals to his name in the regular season and another five in the postseason, the Jamaican forward has been a model of consistency in front of net over his career in the Championship. Only injuries in the 2016 season with the Swope Park Rangers kept Kelly from recording five consecutive seasons with double-digit goals, and his position as one of the league’s preeminent scorers was cemented by his Golden Boot performance for Reno 1868 FC two years ago. His 2017 campaign in Reno – which saw him lead the highest-scoring attack in the Championship’s history – finally turned enough heads both in his home country and in Major League Soccer to earn Kelly his first call-up to the Reggae Boyz and an MLS contract with D.C. United. That Kelly was limited in his opportunities for United was probably disappointing, even with the elevated caliber of player around him in the nation’s capital. That disappointment should be to Indy’s benefit, however, with Kelly arriving motivated to reprove himself and ensure he remains in Jamaica Head Coach Theo Whitmore’s plans for the 2019 Concacaf Gold Cup. He’ll be eager to get out to a strong start to the season, especially with Jamaica set for a key Concacaf Nations League contest against El Salvador on March 23, which also serves as the final game of qualifying for this summer’s event. What Kelly’s signing represents for Indy, on the other hand, is another signature addition for a club that has rolled out a good number of those this offseason. There was the arrival of a quartet of former FC Cincinnati players that include 2018 Golden Glove Evan Newton, and the addition of players like forward Ilija Ilic (Louisville City FC) and Neveal Hackshaw (Charleston Battery) from Eastern Conference rivals. The club also retained important pieces from a season ago, including All-League Second Team selection Ayoze, and as a result looks equipped to challenge defending USL Cup champion Louisville City FC and what on paper looks like a similarly loaded Nashville SC squad at the top of the Eastern Conference. Indy’s off-field moves – including the recent unveiling of a potential downtown facility named Eleven Park that would feature a permanent 20,000-seat home for the club, and the hiring of the former Head of CBC Sports Greg Stremlaw as the club’s new President – have similarly served to put the Eleven firmly among the most ambitious clubs in the Championship. But as the Championship’s all-time leading scorer, Kelly is now the avatar for Indy’s on-field aspirations in the 2019 season. Given the opportunity to team up with Ilic –one of three players to record double-digit goals and assists last season – there should be no shortage of opportunities coming Kelly’s way for the Boys in Blue. As we’ve seen in the past, you don’t need to offer Kelly much of an opening for success to arrive. That means a big year is on the horizon for the Eleven and their fans.